The Square Kilometre Array (SKA) has reached another milestone, with a significant development that cements the way towards the second phase construction of the giant telescope. The Ghanaian and South African governments on Thursday announced the combination of “first light” science observations, which confirm the successful conversion of the Ghana communications antenna from a redundant telecoms instrument into a functioning Very Long Baseline Interferometry (VLBI) radio telescope. The 32m converted telecommunications antenna at the Ghana Intelsat Satellite Earth Station in Kutunse will be integrated into the AVN in preparation for the second phase construction of the SKA across the African continent. The combination “first light” science observations included methanol maser detections, VLBI fringe testing and pulsar observations. Following the initial “first light” observations, the research teams from Ghana and South Africa — together with other international research partners — continue to do more observations and are analysing the data generated with the aim of characterising the system and improving its accuracy for future experiments. “The Ghanaian government warmly embraces the prospect of radio astronomy in the country and our radio astronomy development plan forms part of the broader Ghana science, technology and innovation development plan,” said Kwabena Frimpong-Boateng, the Ghanaian minister of environment, science, technology and innovation. As an SKA Africa partner country, Ghana is collaborating with the SKA South Africa/HartRAO (Hartebeesthoek Radio Astronomical Observatory) group to harness the radio astronomy potential of the redundant satellite communication antenna in Kutunse. A team of scientists and engineers from SKA South Africa/HartRAO and the Ghana Space Science and Technology Institute has been working since 2011 on the astronomy instrument upgrade to make it radio astronomy ready. In 2012, Ghana launched the development plan as the vehicle through which to grow its astrophysics programme. The South African department of international relations & cooperation has been funding a large part of the conversion project through the African Renaissance and International Cooperation Fund. “The African Renaissance Fund is aimed at strengthening cooperation between South Africa and other African countries and to support the development of skills and build institutional capacity on the continent,” said international relations minister Maite Nkoana-Mashabane. Nine African partner countries are members of the SKA AVN, including Botswana, Ghana, Kenya, Madagascar, Mauritius, Mozambique, Namibia, South Africa and Zambia. 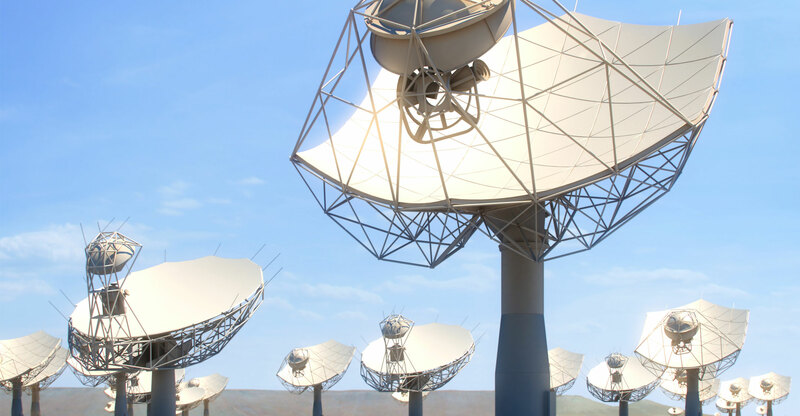 “A vital part of the effort towards building SKA on the African continent over the next decade is to develop the skills, regulations and institutional capacity needed in SKA partner countries to optimise African participation in the SKA,” said science & technology minister Naledi Pandor. 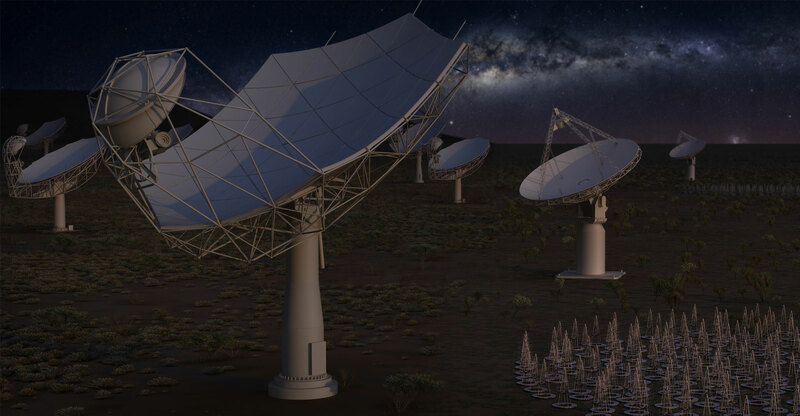 “It will bring new science opportunities to Africa on a relatively short timescale and develop radio astronomy science communities in SKA partner countries,” Pandor said. Several PhD students and one MSc student from Ghana have received SKA South Africa bursaries to pursue further education in various fields of astronomy and engineering. The Royal Society has awarded funding, in collaboration with Leeds University, to train two PhDs and 60 young aspiring scientists in the field of astrophysics. Based on the success of the Leverhulme-Royal Society programme, a joint UK-South Africa Newton Fund intervention (the Development in Africa with Radio Astronomy, or Dara) has since been initiated in other partner countries to grow high technology skills that can lead to broader economic development in Africa.